Roger E. Meyer, MD, a Partner and CEO of Best Practice Project Management, Inc., is a 1962 graduate of the Harvard Medical School. He completed an internship in medicine with Dr. Robert Petersdorf at King County Hospital (Seattle, WA), and a residency in psychiatry at the Massachusetts Mental Health Center in Boston. He then joined the National Institute of Mental Health as a Research Psychiatrist in Psychopharmacology and was assigned to the Center for Studies of Narcotics and Drug Abuse. Dr. Meyer finished his tour of duty as Acting Chief of the Center, and returned to Boston, where he later brought together a group of clinical and basic investigators from Harvard and Boston University in a NIDA funded Center for the Study of Opiate Addiction. His group developed clinical and animal model behavioral paradigms for the assessment of pharmacotherapy in the treatment of heroin addiction. He also served as a two day/week consultant to the White House Special Action Office for Drug Abuse Prevention from 1971-1972. In January 1977, Dr. Meyer became Professor and Chair of Psychiatry at the University of Connecticut School of Medicine. While there, he developed and led the NIAAA funded Alcohol Research Center (1978-1993). From 1989-1992, Dr, Meyer also served as Executive Dean at UConn. He spent the 1992-1993 academic year on sabbatical at the Center for Advanced Study in the Behavioral Sciences at Stanford University. In 1993, Dr. Meyer relocated to George Washington University as VP Medical Affairs and Executive Dean. His administration was marked by important new directions in the organization of the medical center, as well as its teaching and research programs. The Medical Center generated its first cash reserves in several years, and the HMO grew at its most rapid rate in 20 years. After a decision by the University to sell the hospital and the HMO, Dr. Meyer secured a MacArthur Foundation grant and relocated to the Association of Academic Health Centers as a Senior Scholar in Residence in 1995. While there, he completed a study of the impact of managed care on academic psychiatry: "Between Mind, Brain, and Managed Care" (published in February 1998). 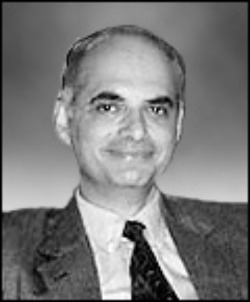 Between 1997 and 2003 he served as Senior Consultant on Clinical Research at the Association of American Medical Colleges. In addition to his position with Best Practice, Dr. Meyer is Clinical Professor of Psychiatry at Georgetown University and Adjunct Professor of Psychiatry at the University of Pennsylvania. Dr. Meyer has published more than 165 papers and six books. He has served as President of the American College of Neuropsycho-pharmacology and of the American Association of Chairmen of Departments of Psychiatry.